The benefits of referral marketing have been recognized for a long time. Compared to traditional advertising, a positive referral from a happy customer is one of the most valuable forms of marketing. People pay twice as much attention to recommendations from friends and family members than any other source, according to the Wharton Business School. On top that, a referred customer is 16 percent more valuable over a lifetime than any other form of customer. Earning positive referrals requires more than providing a valuable service or product, although that’s certainly a key requirement. It’s important to automate the process and empower customers to make recommendations. When marketing automation works, it boosts efficiency, lessens your workload and helps generate new customers. A happy customer needs only a little nudge to share their experience with their network, and automating the process allows you to focus on whatever your company does best. Utilizing marketing automation tools — whether it’s on social media, emails or websites — is critical for the long-term success of your company. Companies using automation for email marketing earn twice as many leads as those that don’t. 75 percent of companies using marketing automation see a return on investment in a year. Companies using marketing automation increased sales by an average of 34 percent. 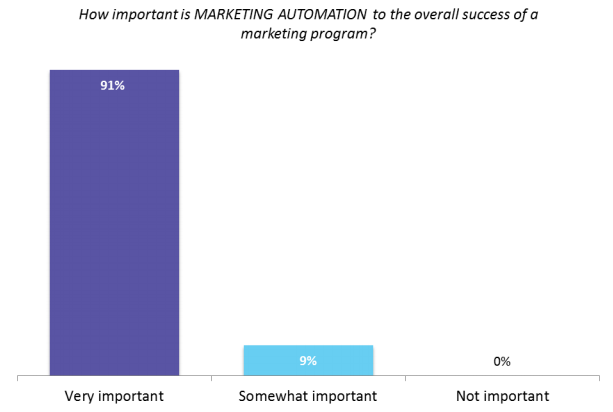 91 percent of those using marketing automation say it is “very important” to the success of their program. 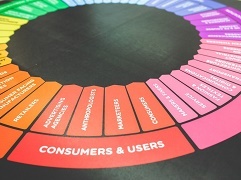 Marketing automation tools come in all forms and typically aren’t free. Before you decide which tools to use, it’s best to determine your strategy. Doing otherwise is could lead to negative results. Far too often, marketers try every tool at their disposal without thinking about what will actually work with their customers. The name “automation” sounds like something mechanical and impersonal, but the most effective strategies feel highly personalized to customers. Implementing marketing automation for referrals is destined to fail if your leads are weak from the start. Think of existing leads as money in the bank and marketing automation as a way to grow that money. If there’s no money to begin with, it’s impossible to see any growth. A good automation strategy recognizes ripe opportunities and builds upon them. Like a plant, leads need to be nurtured and cultivated. An abundance of spammy, impersonal messages can stunt any growth. To begin, think about your goals. Do you want to generate new leads? Or do you want to convert existing leads into loyal customers? Maybe it’s something else entirely. No matter what it is, it’s good to take a close look at your absolute best customers. This close circle is the most valuable because they’re more likely to spread the word and make recommendations from friends. Marketing automation is a fast-growing industry that’s been valued at approximately $1.62 billion annually. With this fast growth comes a number of tools for businesses to use. Some of the most popular include Hubspot, Infusionsoft, and Marketo. The merits of these tools are debated endlessly, with many people touting their own reasons for one being superior to the other. Social media can be a time sink that takes up too much of the day, but it’s important because social media is typically the face of your company. Social media should always have a personal touch, yet automation can help round out your social media strategy and save lots of time. For example, your automation can help new website posts go directly to social media or allow you to easily curate content. Some companies use automation for customer service queries, but this strategy sometimes backfires when companies accidentally pester customers with useless information. It’s important not to be over reliant on automation. Social media works best when there’s a sense of immediacy instead of a series of static, long-planned posts that were scheduled to post automatically. Marketing automation has its roots in email marketing, so the possibilities are robust. For starters, lists can be formed automatically. The most active users or long-dormant users can be welcomed with a new email. Or a new email can be used to upsell a recent customer and you won’t have to lift a finger. The possibilities are vast, yet it’s possible for automation to run amok. Nobody likes being bombarded with emails, so you should weigh the importance of each communication. The success of your website relies on traffic from social media and email marketing. It’s possible to cater dynamic content based on a person’s viewing habits, geographic location, and so on. Offers can be targeted to viewers that fulfill certain criteria. Regardless of what strategy you adopt and what tools you use, it’s critical to always test what you’re doing. Extensive testing can turn a doomed campaign into a successful one by stamping out flaws. Failing to adequately test can turn away loyal customers. Always test your strategies, either by running the plan by others or segmenting your audience into a small test group. It’s worth the effort.